Whiplash is arguably the most common injury related to car accidents that occur at both low and high speeds. While many people don’t take whiplash seriously because it isn’t life-threatening, it is an injury that can be life changing. The symptoms of whiplash can take weeks, months, and even years to go away. In rare cases, the symptoms of whiplash are permanent. 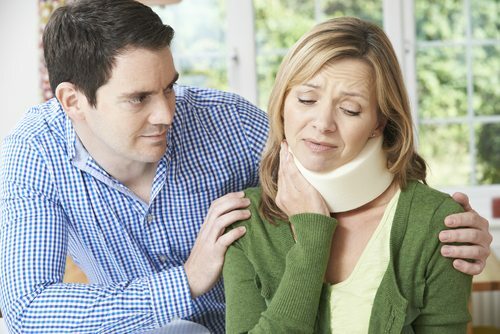 If you or a loved one have suffered a whiplash injury in a car accident, you need medical care. If the accident was caused by the negligence or carelessness of someone else, you may be eligible for compensation for your medical costs, lost wages, and other expenses related to the whiplash. Whiplash occurs when the sudden force of a car stopping whips the head and neck back and forth, beyond the natural capability of the tendons and the vertebrae of the neck. The most common ways to treat whiplash are to treat its symptoms while the tissues heal on their own. The neck is usually stabilized with a foam collar, and pain can be treated a variety of ways, either with medication, massage, acupuncture, or chiropractic care. Physical therapy may be necessary for severe whiplash, however, surgery is rarely indicated. The most profound effect of whiplash is how it impacts an individual’s daily life. They may find it difficult to work, sleep, and perform day to day tasks. Often, even the above treatments only provide minor relief. If your injury was caused by a car accident that wasn’t your fault, you may be able to obtain compensation for expenses, pain, and suffering related to your whiplash injury. At the Slonaker Law Firm, we can provide you with zealous legal representation after a car accident and can help you navigate the challenging process of bringing a claim forward. We’ll help you deal with insurance companies and doctors, so you can get the care you need and begin healing after a devastating car crash. Call today for a consultation at 352.629.6656.